Today, thousands of romantic Brits across the country will be getting ready to make their loved ones feel special. But do relationships help to balance the books? 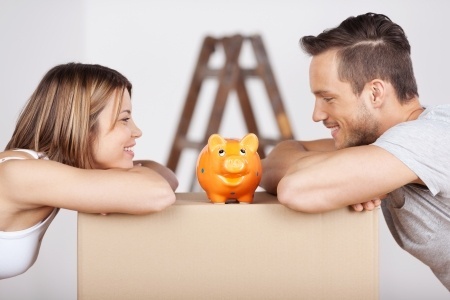 Or is staying single the surefire path to financial bliss? If you're single, living on your own is a great opportunity to start forming the good monetary habits that will serve you well in later life. Start by saving little and often to get you used to managing your money, and try getting to grips with financial jargon to better your understanding of your options for the future. With no one to fall back on (and no one to fall back on you), being single is a great way to assert your financial independence and shape your own goals. This can give you real flexibility to put your money where you want to. Enjoy your freedom by investing and making your money work for you, or simply budgeting for the finer things in life. As well as developing a few good habits, being single also leaves you open to picking up a few bad ones too, with no one around to monitor your spending and keep you on track. This can leave you more open to the occasional moment of weakness, especially when it comes to invitations to big nights out. To help you stay on top of your finances, try using our free Money Dashboard budgeting software. Living with your partner doesn't just mean sharing a life together; it's also about sharing your finances and splitting your bills. Energy bills, rent and your Sky subscription are a lot easier to manage with two people making contributions. While a household with more than one occupant is likely to consume more, you can combine your efforts to find the best deals and negotiate better rates. It's an adage as old as the hills, but "strength in numbers" matters a lot when dealing with life's financial worries. Being able to rely on a partner who can help out with monetary issues is always beneficial, and can come in the form of anything from helping you to understand different products to boosting your combined income and reaching your life goals that much quicker. Couples who invest together stay together (or so we've heard), and with two different perspectives, it's easier to find investments that meet your combined risk profiles and deliver the results you need. Work together to identify your investment aims, and be accommodating of each other's view points. Many people worry that they are being cut off from their financial affairs by their relationships. The pressure to open joint accounts, combine savings and trust each other can be overwhelming for some at first, and it's important to take things slow. The key to solving issues like this is effective communication. Talk about finances openly and make sure you retain control over the money you have contributed to the relationship. Equally, though, it's important to work together to secure your financial futures. Being in a relationship and staying single have their own pros and cons for your finances, but both rely on developing good habits and staying in control. To help you do just that, try Money Dashboard - our free, easy to use money management software designed to help you get a better grip on your finances.